The footage was part of a 38-minute-long videotape titled “Maidan Wardak, the Gate of Kabul,” which was released on Sept. 12 by Al Emarah Studios, the propaganda arm of the Taliban. “Footage shows fighters attacking convoys and setting fire to vehicles, and also fighters entering an American base in Wardak province after they reportedly ‘liberated’ it,” according to a description of the videotape by the SITE Intelligence Group. The portion of the tape that shows the Taliban touring the base includes footage of scores of Taliban fighters riding on motorcycles and in cars. The large Taliban group is operating in the open during daylight, and does not appear fearful of reprisals. Another group of Taliban, presumably commanders, is then seen touring the base on foot. The Taliban inspect buildings and other parts of the base, all of which are intact. Although the Taliban claimed the base was “liberated,” implying it was taken by force, the base appears to have been abandoned; there are no military vehicles, equipment, weapons, captured soldiers, or dead bodies seen. The location of the base is not given; the Taliban said only that the base is located in Wardak province, which borders Kabul province to the south. It is unclear if the base shown was run by the US military, the Afghan Army, or a contracting group. The base is built and laid out like many US combat outposts, with HESCO walls, command posts, guard towers, utility buildings, and huts that appear to be living quarters. The Long War Journal contacted the press desks of the International Security Assistance Force and its sub-command, the ISAF Joint Command, to obtain information on the base, but did not receive a response. A US military officer who wished not to be named due to the sensitivity of the issue told The Long War Journal that the base in the Taliban propaganda video is Combat Outpost Tangi, which was transitioned to Afghan forces in April. Afghan troops later abandoned the outpost, the officer said. Wardak province has been the scene of controversy over the past two months. The Taliban are in control of the Tangi Valley following the withdrawal of US forces from a combat outpost this spring. On Aug. 6, the Taliban downed a Chinook helicopter in the Sayed Abad district, killing 38 US and Afghan forces, including 17 US Navy SEALS from the Naval Special Warfare Development Group (more commonly referred to as SEAL Team 6). And on Sept. 10, the Taliban detonated a massive suicide bomb outside of Combat Outpost Sayed Abad, killing four Afghans and wounding more than 100 people, including 77 US soldiers. The Taliban have released similar propaganda tapes in the past. Taliban fighters were seen touring abandoned combat outposts in the northeastern provinces of Kunar and Nuristan. How absurd…no airstrikes or special operations…we need to start surprising them. 1:00 What!? How the…It’s like some kind of Taliban parade! Drones? Planes? Helicopters? Satellites? SIGINT? HUMINT? Wouldn’t they be noticed by one or more of those things?? Where are the drones during these gatherings? 40+ KIA shot anyone? Why didn’t we blow these guys up with a couple of hellfire drones from UAVs? what a slap in the face, why didn’t we drop a couple of JDAMs on their heads. I can understand us pulling out but why didn’t we leave some of our own IED presents for the new tenants? One can only hope that the military is waiting for the Talib to settle into the base “en masse.” Allow the Talib to get plenty of HVTs settled into fine Made in USA housing and then have a B-52 do what B-52s do best. On the other hand, the situation could be total FUBAR caused by the premature draw down which is a result of American lack of resolve. We should allow Sgt. Dakota Meyer to manage this problem. Semper Fi. Why didn’t we bomb them? … because a GD lawyer said they were not actively shooting, had women and kids with them, we were unsure we had the authority under section R2D2-C3PO of the rules of engagement. We cannot even shoot a Taliban who is “disengaging.” This is a rediculous way to fight a war…lawyers at the company level and a Department of Justice that will prosecute military or CIA at the first opportunity. I’d have preferred this video be shot through the gunsight of an Apache or Warthog. Although I agree that you would think that we could watch over these abandoned bases however, we have no idea when and where this video was taken. However, a $400 satellite link game camera would be able to detect any movement and shoot some pictures and send them realtime to some command post. ISAF must release info on this ‘base’. If they don’t, it proves the point that Soccer and others have been repeatedly making that, we are losing the information war. I really had to suffer thru all that wailing and chanting on the tape by these single-digit-IQ cavemen. That in itself was enough incentive for me to want to blow their single-digit-IQ-brains off! RoE indeed!! It is inexplicable that these marauders can walk, worse drive, around in broad daylight like a gang of bandits. And no, there were no civilians, leave alone women and children, to be seen. Come on Isaf, lets hear it from you. I hope this was shot in Pak, not in Af. Eastern Afghanistan has gradually became worse than the south. The terrain is more diffcuilt too move and patrol. Judging by this video, the insurgents are well armed and their high numbers moving freely is quite shocking. The haqqanis also operate in the provenic freely with the help of Pakistan. Personally I would suggest we need to take a high number of the surge troops from the south to re enforce ISAF’s presence. They are brazen. Who knows where this is or when taken. It does bother me that such a large group could gather without fear. I found it more than odd that the parading/ entering cars flew WHITE FLAGS during their entry. Maybe it’s just me, but I thought that troops marching forth under a white flag did so to surrender. This base has the potential to be an abandoned ANA asset. 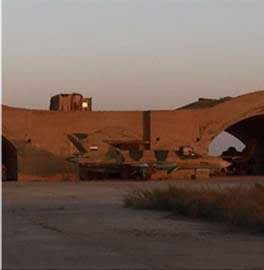 It has long been the practice for ISAF units to turn their bases over to the ANA in good working order. Where this was not contemplated — the outposts are typically destroyed — and make a very sorry sight thereafter. blert, the Taliban flew a white flag while it was in control of Afghanistan, and I’ve seen pictures of it used since. There may be more here than meets the eye. This might be a sign that some kind of tacit agreement is evolving amongst the United States, Karzai, and the Taliban whereby we allow Karzai and the Taliban to divide up Afghanistan however they wish in return for the Taliban cutting Al Qaeda lose or, even better, turning against AQ. 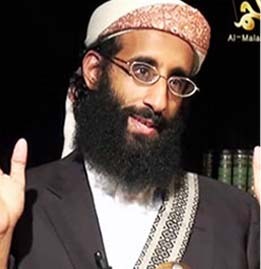 Probably just wishful thinking on my part, but not totally improbable in light of the rumors that Zawahiri may have left the region for Somalia or Yemen. The white flag with the shahada is the Taliban’s (the Islamic Emirate of Afghanistan) flag. 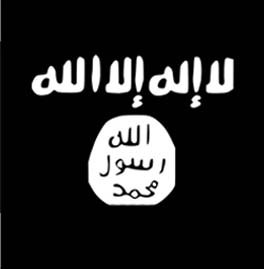 The same flag, but in black, is the flag of Jihad. It represents the Islamic State when it is in war. It is considered to be the flag of Mohamed, his state, and his army. The footage is from COP Tangi in the Tangi Valley. I was there for OEF 10 with the 173rd Airborne Brigade. 4th Brigade 10th Mountain relieved us and promptly abandoned the COP after suffering some losses. It is hard to believe no one bothered using any air assets to monitor the COP after abandoning it, since COP Sayed Abad is less than 10 kilometers away. Yup , we should of took advantage of the situation . And sent a Daisy Cutter …. @ Tom, that was the plan for Phase 2 of the troop surge until the President decided to play politics instead of commander in chief. With the gains in the south solidified, the extra troops were to surge in the East. However, with 30,000 troops drawing down effectively immediately it’s not going to happen. I hate to say this but a lot of good men sacrificed their all for nothing in the surge to the south because of the troop reductions. You can bet your tail that the TB are going to show their face at any base that is abandoned. I’ve seen this type of propaganda before. We can’t leave anything there, not a single hescoe for them to make a video out of. You must bulldoze the whole thing so it looks like we were never there. blert needs to study up more on Taliban ideology. The white flag is the Taliban’s flag for Afghan jihad, and they used it ever since they first conquered Afghanistan. Jihadists also believe it to be in the Quran and Hadith that Prophet Muhammad said that the army of Islam would carry white and black flags with the shahadat on it in the land of Khorasan (Afghanistan and Pakistan). And as for the locals not affording Hondas, that doesn’t matter. They just steal them as ‘war booty’. This song in background making it impossible for me to watch the full video…………. Straight over the border from Pakistan.Did the Border check points not see them or waved them through? Also, the Taliban said that they set fire to 17 logistical vehicles in Wardak today, and stole ammo and guns from the drivers, and beheaded the drivers of all 17 trucks. They said the drivers were from America. They then stole all their guns and ammo as war booty and set fire to the corpses and drove off. Oops, I forgot to refresh the page. They have updated their information. Keep in mind they also claimed they killed hundreds of Americans and Afghans at a PRT ceremony in Zabul. So they are obviously trying to make it seem like they are stepping up their operations. 3 cell phone towers destroyed in Sayedabad. 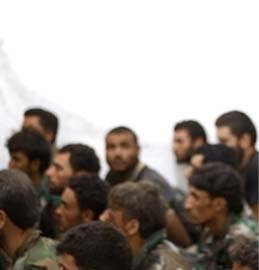 Mujahideen set up outpost in abandoned US bases. Puppet police commander gunned down in Chak, weapons and truck seized. 4 US tanks eliminated with rocket fire in Jalrez, 27 invaders killed and wounded, weapons seized as war booty. 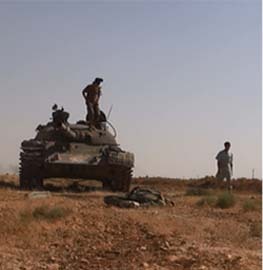 7 logistical vehicles attacked and burned down in Jaghatu district, Wardag province. Enemy puppet check post attacked, 20 captured, 16 killed, check post burned down in Dahanah area. Missiles slam into US base in Chaghto district. 11 American invaders killed, scores hurt in Chaghto battle, Wardak district. Missiles slam into PRT building in provincial capital, 34 Americans killed and wounded. Missiles slam into US airbase in Day Mirdad area, early morning, but it is unknown how many invaders are killed or wounded at this time besides 3 planes and 2 tanks destroyed. Missiles slam into American base in Maidan Shar, 40 invaders killed and wounded. 70 invaders and puppets killed in massive firefight near abandoned US bases in Sayedabad, weapons seized, corpses set on fire. Mujahideen shoot down US cargo transport fleeing the Sayedabad area in the early morning, causing the whole plane to burn up and crash to the ground killing all 7 flight personnel on board along with the destruction of all the cargo. Mujahideen shoot down another transport plane leaving the Sayedabad area with stinger missiles, rockets and heavy guns, killing at least 180 US soldiers who were fleeing the area from the mujahideen attacks. ANA puppet outpost attacked, burned down: 24 killed, 18 captured alive, massive weapons cache seized in Merkazi Behsud area. 3 aerial surveillance drones shot down in Narkh. 2 surveillance balloons also shot down in Narkh. 14 American special forces killed raiding civilians in Hesa Lawali Behsud area. 2 Mujahideen also embraced martyrdom during this operation (May Allah accept them). District center seized in Chak: Massive weapons cache seized, 40 puppets captured, 3 beheaded. Mujahideen attacks rock Narkh district center, with missiles, mortars and grenades slamming into the building with an estimated 100 puppets killed and wounded. US soldiers blocked off from exiting Wardag: Mujahideen of the Islamic Emirate reported that special forces soldiers are currently trapped in the mountainous areas of Sayedabad and are running out of supplies, locals say, and are trying to negotiate a peaceful exit of the area lest they be captured alive and killed/beheaded (inshallah). 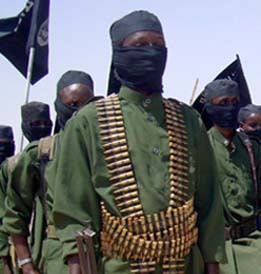 Mujahideen of the Islamic Emirate as of now are not responding to the peace offers in a positive way, reports say. 4 US soldiers poisoned in Salar village. US soldiers burst into civilian homes and demanded a drink because they were thirsty at which time locals loyal to the Mujahideen provided them with a poison yogurt drink, causing them to crash to the ground and die instantly. When Viet Cong insurgents abandoned their warfighting complexes during the Vietnam War, they used to ‘booby trap’ them in order to bring incapacitating effect to enemy intruders. Contracting Vietnamese military personnel to implement simple, efficient unconventional tactics (booby traps) will probably be cheaper than dropping capable ordnance on ex-ISAF/NATO/ANSF bases. On the otherhand, I could go on and on about other useful Vietnam-era indirect actions/black operations which applied related asymmetric warfare, but some douchebag in a suit in D.C. probably already banned the application of such measures..
It’s easy to edit different times and places together in video…. Mr Soccer…, you mention “surveillance balloons?” That should make even you wonder about the veracity of the Taliban stories. Balloons went out of style for anything but checking weather a long time ago. Perhaps there is a secret Balloon Corps we don’t know about? I got it off the Taliban web site as well as Ansar Mujahideen English Forums. Stop attacking me, I am only COPYING AND PASTING or paraphrasing or excerpting the information back to here. I can paste more reports if you want. They are still being used, Gary. @ Gary, The US currently is using ground tethered surveillance balloons all over Afghanistan. While there are certainly no “secret Balloon Corps” surveillance balloons can be found at almost all major ISAF FOBs. @Gary Seidel: Soccer is sort of our own forum Baghdad Bob. No I’m not. If only all you people had understood the CONTEXT OF WHAT I AM POSTING. I’ll make it clear, one more time, in capital letters so you understand. I DON’T BELIEVE WHAT I AM PASTING HERE. I DON’T WRITE THESE MYSELF, I GET THEM OFF THE ANSAR MUJAHIDEEN ENGLISH FORUMS. I AM AWARE THAT IT IS PROPAGANDA BY THE ENEMY. Strawman arguments and name calling will not benefit anybody in this situation, and I have officially stated my position on this subject as well as proved Gary wrong that they do not use surveillance balloons in Afghanistan. The taliban seem to have gained control of a large oart of the country…. A bitter fact the US is not ready to accept. If the Taliban did not hold the whip hand, there wouldn’t have been alleged talks of engagement with the taliban—-which indicates the US has failed to crush insurgency.